So it looks like we are in recession in Canada. One can argue about the definition or recession, or talk about other indicators, or how things might already be turning around, but the fact is that this is reflecting the reality of many Canadians who are losing their jobs and otherwise struggling with the stagnant economy we have had for almost 10 years now. 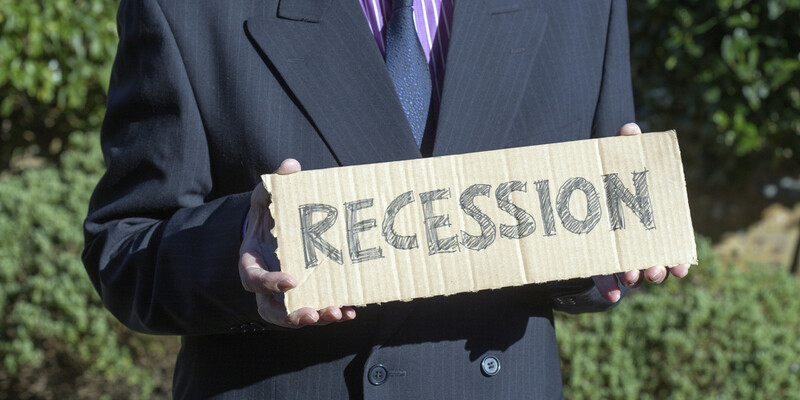 Calling it a recession finally is just confirming what people have been experiencing. With the downturn in oil prices which are not expected to rebound anytime soon, we have to wonder if this may turn into a longer trend that if not recessionary, could certainly be called stagnation. But we are in an election campaign, so even if some economists and the Conservative party say it's not a recession, people will see the headline and they will react. The Conservatives want to stay the course, and they believe that spending is not the way to get out of a recession. But many Canadians who see our crumbling infrastructure and increasingly lacklustre public services may question where all the money the Conservatives have claimed to be spending on growth have actually gone. The truth is that Conservatives have promised billions but often the money never gets spent. For example, the Conservatives left 97 million dollars of money for social services unspent. Also, there was 1.1 billion dollars left unspent in the Veterans Affairs Department. Similarly Aboriginal Affairs left 1 billion unspent. Also, the much touted infrastructure spending plan of the Conservatives has been spending very slowly, and 92 per cent of the $10-billion provincial-territorial stream of the New Building Canada Fund remains unspent. All of this money presumably went back into general revenue to balance the budget, which still isn't balanced. All of this unspent money while the Conservatives give 34 billion a year in oil subsidies. The Conservatives seem to promise a lot, and then just let the money vanish later hoping that nobody will notice. And this lack of spending is hurting the economy. Now whether or not this is a long downturn or things pick up, it is clear that Canada has put too much money into resource development while ignoring the things that actually grow the economy, like the prosperity of the citizens of this country. More and more Canadians are out of work, or working part time, precarious jobs. Young people especially are having a hard time in this economy that seems to put big business first, and employees dead last. And the gutting of Statistics Canada has made it difficult to trust the data we get about employment. Using the R word might be arguable, but during an election it will draw the attention of Canadians to the economy, and people may look more closely at the record of the current government and find that it isn't as stellar as they claim it is. The opposition will be more than happy to help curious Canadians make those observations, and will throw in some mud slinging among themselves while they are at it. But the bottom line is that the economic situation is not good, and investment is desperately needed. I think it would be unwise for any party not to take the situation seriously, and Canadians should also be thinking about what is the best way to lead the country into better growth. However, "Staying the course" is starting to look less and less appealing.